Their hand- crafted and hand-tailored pieces are made in Portugal with the finest materials, combined with a lot of passion, so they can deliver only the highest quality furnishings. 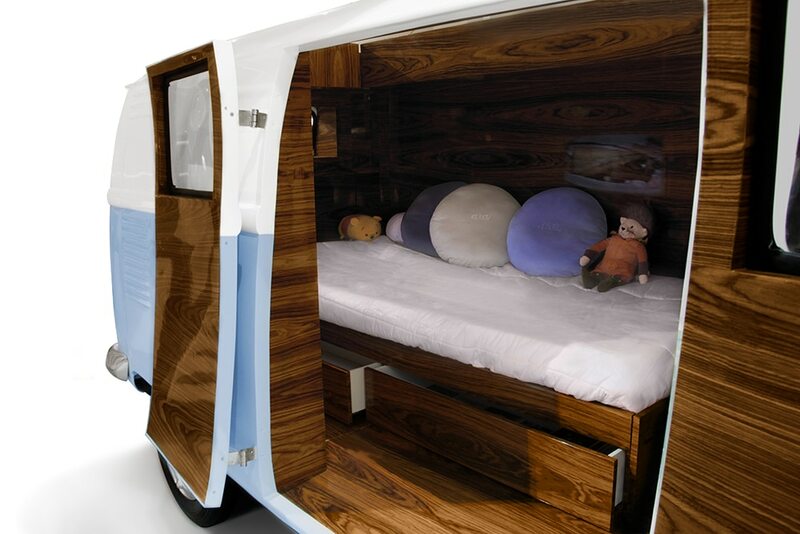 With the Bun Van (above), is an unique kids bed inspired by the iconic 60’s camper van Fillmore from the Disney movie “Cars”. It is perfect to bring a total experience of fun and play to the children’s rooms. 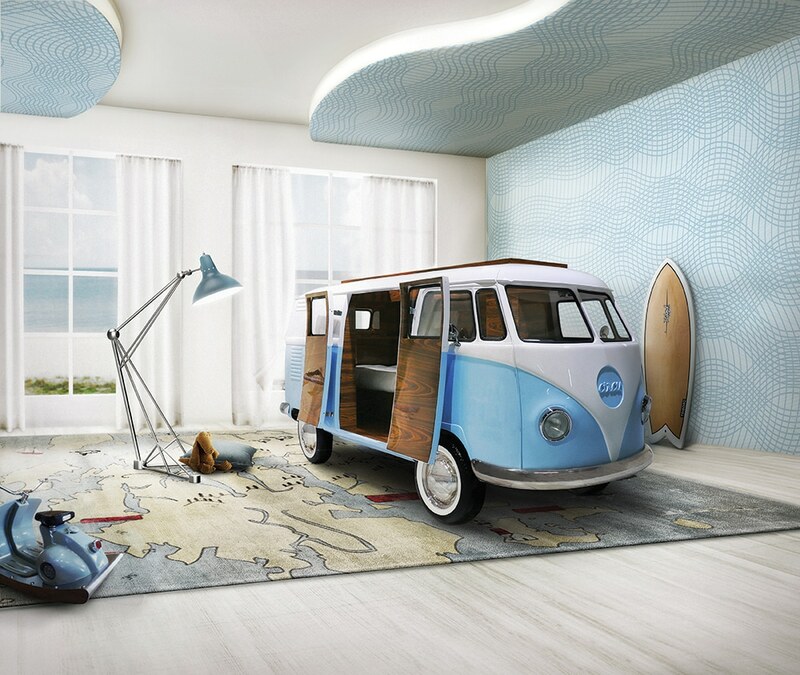 With the Bun Van, bedtime will be like an adventurous road trip! The inside has several storage boxes, a bed, a TV, desk, sofa and of course, a mini bar. 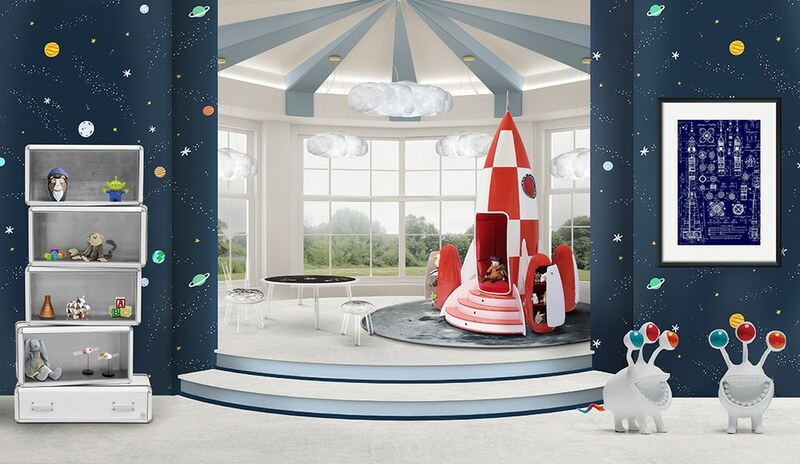 The Rocky Rocket (above) is an interactive chair which features an educational light and sound system. 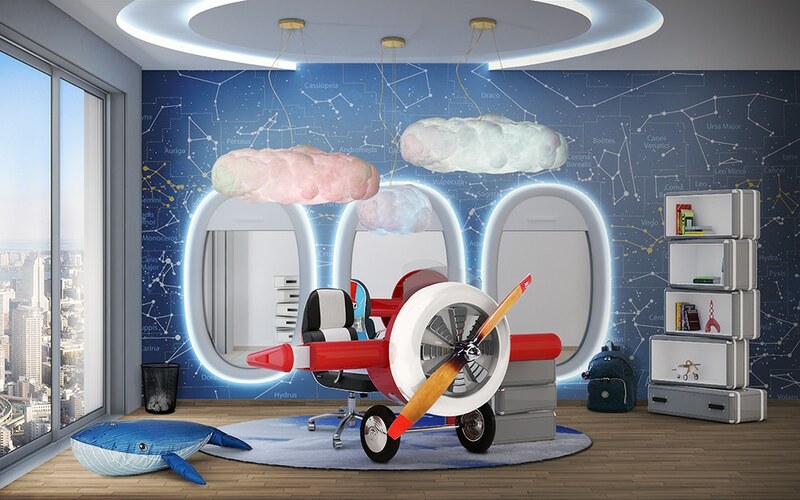 With its red velvet upholstered walls and cushioned flooring, it’s a space that children will love. 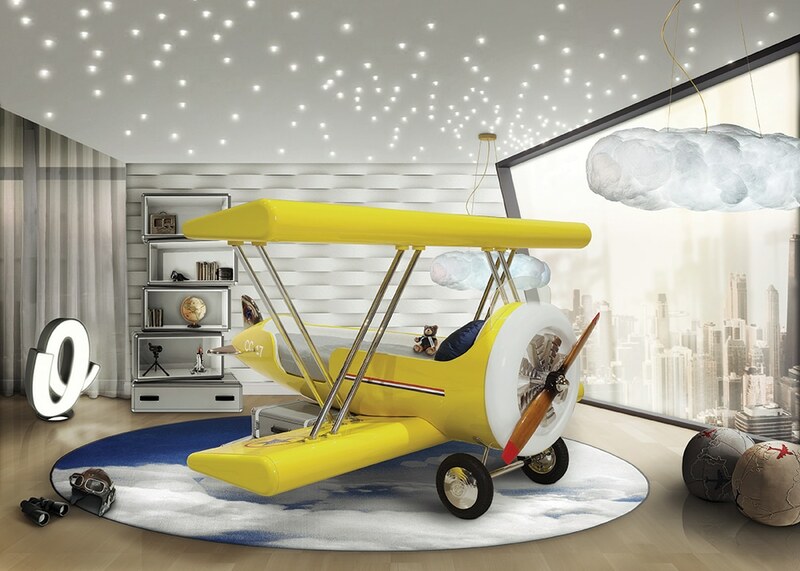 The Sky B Plane (left) is a kids’ bed that has several storage compartments with the top wing designed as a bookshelf. The decorative suitcases even include secret storage compartments. What fun! 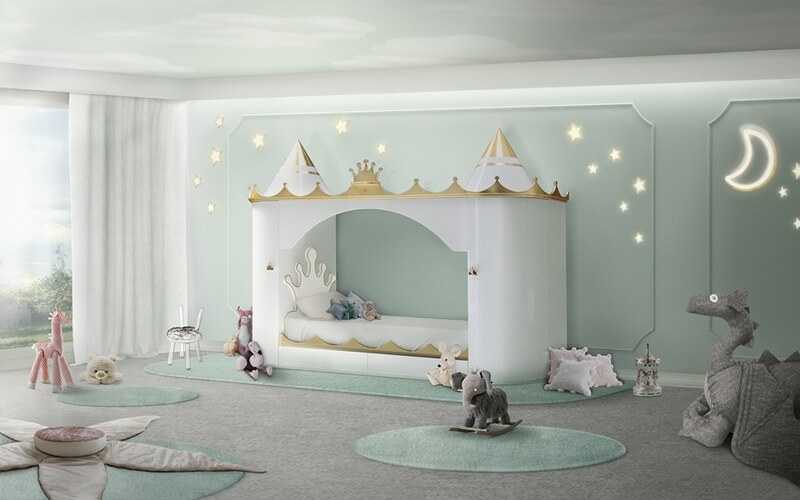 The Kings & Queens Castle Bed (above) in pastel tones will turn your children into real Kings and Queens.